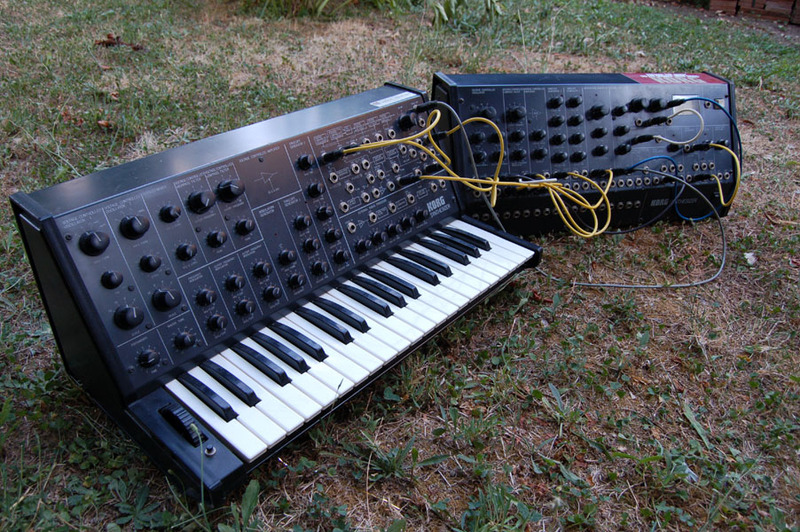 The Korg MS-20 is one of the most famous vintage synths ever. It stands up there with the Minimoog, ARP 2600, EMS Synthi, Jupiters, TB-303, etc. When it was produced , Korg marketed it as a low cost “baby 2600″ , it was the semimodular synth for the masses. The look is somehow inspired by the big Moog modulars, with the front panel that stads upright the keyboard, that is attached to the body, to be the most compact and portable, all in a typical japanese way. The synth is divided into two parts : the left side , prepatched with the knobs and the right side , the patchable with the patchbay and external signal processor. The 2 VCOs have different settings capabilities and different functions. The two vcos sounds very warm and fat with a classic japanese sound. The pulse/square wave is really fat and smooth too. The smoothness of the oscillators maybe also produced by a particular “cut” of the VCFs and VCA that are not bypassable. The filters are the most carachteristic element of this synth, the trademark of the MS20′ sound is the dual filter with resonance (PEAK). Both the HPF that the LPF have the same controls, the FREQUENCY CUTOFF and the PEAK (that’s the RESONANCE!). The slope of the filters is 12dB/oct and though they are resonant they are not self oscillating. The use of the filters makes this synth anhighly versatile machine, because they are not strightly “multimode”, but can be used in combo to obtain particular combinations mantaining two indipendent peaks of resonance. A famous use of the HPF is to boost the low frequencies oto saturate the sound. Thanks to the resonant HPF , turning up the peak creates a gain of level at the cutoff frequencies that results in awesome sub basses or highly saturated sounds. The behaviour of the filter is also particular because when the peaks are up the frequency of the cutoff tends to oscillate producing highly harmonic and saturated timbres. 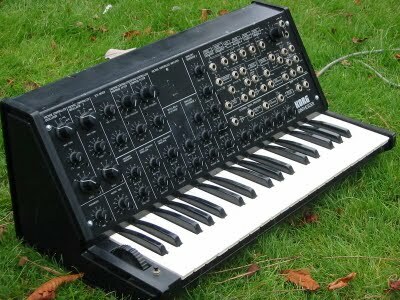 The MS20 was produced with two different components , the first (older) series has the famous Korg35 that is considered less “muddy” , while the following series use common components. Both the HPF that the LPF have a smooth behaviour and a rounded sound with the peaks at minimum, while raising up the peaks leads to the aggressive and distorted side of the synth. Env 1 is a simple Attack -Release with Delay,useful for modulations and harpached to the VCO pitch modulation. ENV2 is a HADSR, it works like an ADSR but has a hold for that lovely drones the MS20 is so great at, or to use the synth as a efx/filter processor for external signals. ENV2 is prepatched to VCA and VCFs modulations. Both the envs are punchy with fast attack and decay, and work very well for every type of sound, from percussive to ethereal. MG is how Korg labelled the LFO. 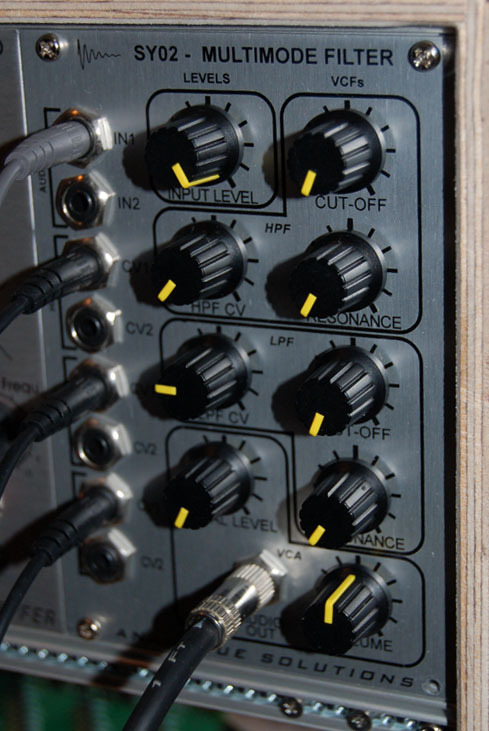 The MG consist of a low frequency oscillator that produces morphable square and saw waves . The saw can morph from saw to tri to ramp. The square goes from imp to square to inverted imp. The two row of knobs under the filter and vcos sections are dedicated to the modulations. The higher row has the MG as modulation source,and the pitch, and cutoff of the filters as destinations, while the lower row has as source the ENVs, env 1 to pitch and env2 to filters. Every parameter has its own amount knob. On the left there are two keyboard controls, PORTAMENTO and tune. This is a description of the “prepatched” part of the synth, but using the patchbay almost everything can be routed to every target, the flexibility is one of the most important carachteristic of the MS 20, a compact synth , highly versatile and awesome sounding.